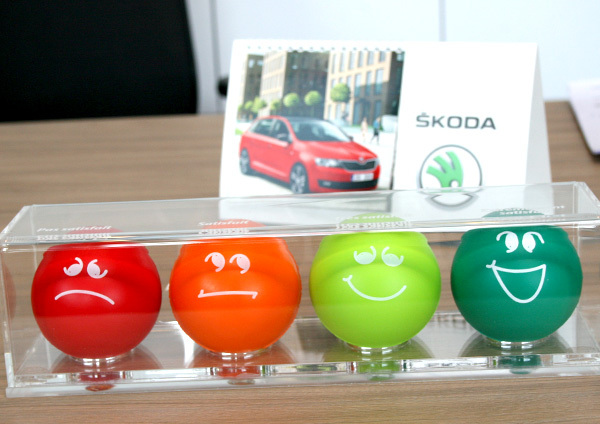 Skoda retailers were interested in their customers’ opinions in order to offer a pleasant after-sales service. Our POP Gifts department was called upon to propose some original ideas that would meet these goals. What was POP Gifts’ answer? 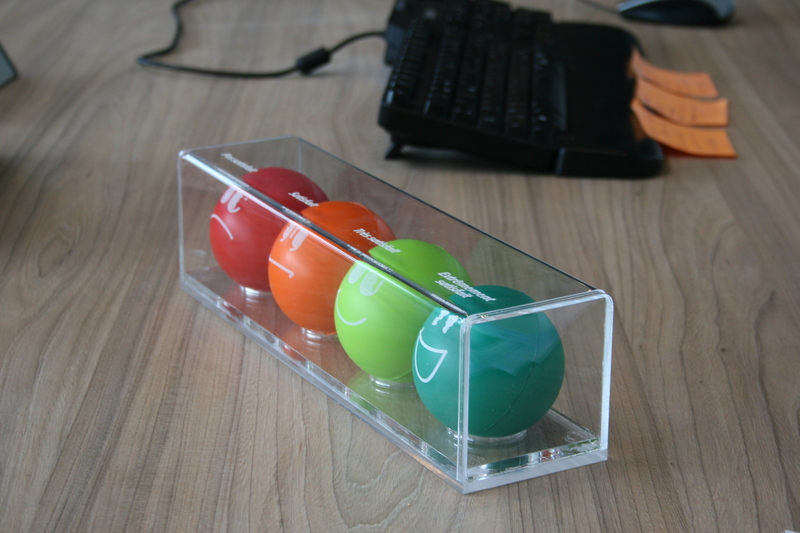 A mini Plexiglas display composed of 4 stress balls. These balls were in different colours ranging from red to green. 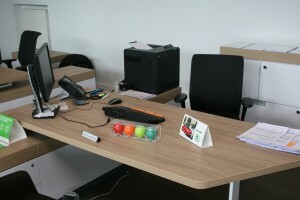 This allowed the sales person to initiate a discussion with the customer. Was the customer satisfied? Completely, moderately or not at all? 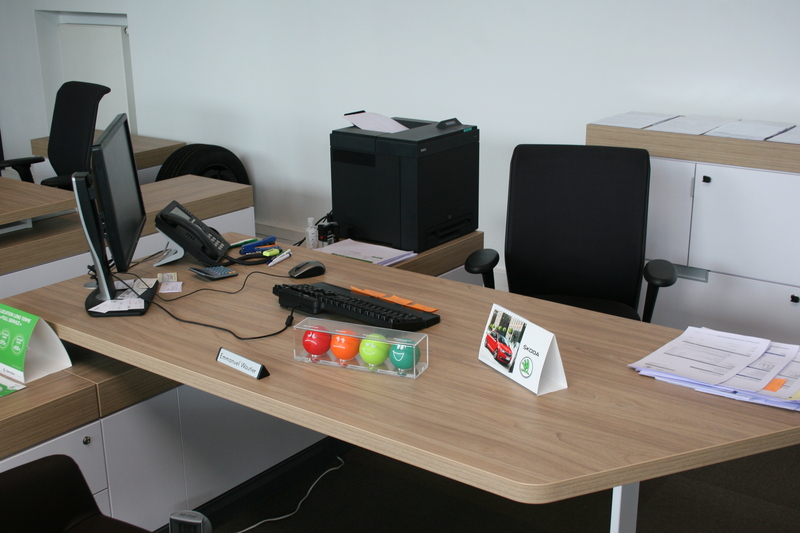 This device strengthens the customer-dealer relationship.